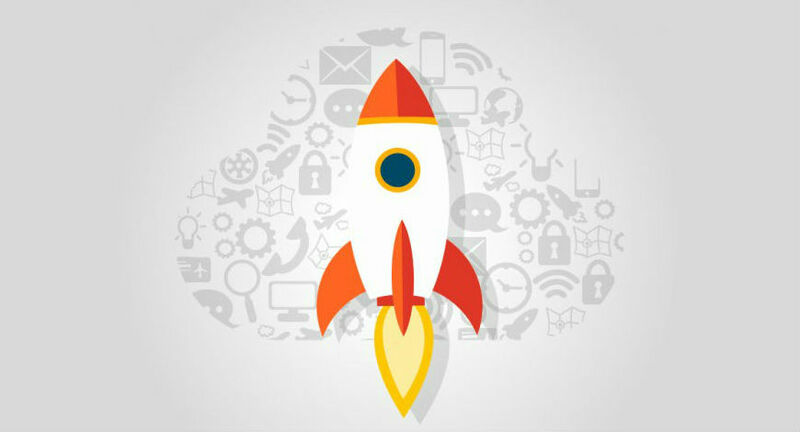 08 October, 2018 by Anubhav Gera: Most accelerators and incubators are set up to last for three months. This timeframe is imported from programs aimed at identifying high-potential technology startups teams and ideas, to help crystallize their problem-solution and/or product market fit, for a subsequent funding event. Scaling business is a crucial phase for any company, and there are many interventions required for a company to scale 2X-10X. The right mindset, ability to have a global perspective, commitment to the scalerator program, and connects with partners, investors and service providers that go a long way in achieving hyper-growth. In 2017, I was part of a Wadhwani Foundation outreach to discuss two types of hypothesis with 200+ small-scale companies, industry associations, government bodies, retired bureaucrats, consultants, and senior entrepreneurs spread pan-India across several industries. Since early 2018, the Wadhwani Foundation (WF) has launched a scalerator (scale-accelerator) program, “WF Venture ScaleUp” aimed at enabling business growth and which includes a no. of Vertical or Industry specific cohorts comprising of growth-oriented companies with at least $1M in revenue, in three sectors: manufacturing (auto components / light engineering), consumer packaged goods (CPG) & technology-enabled businesses (IT & ITeS). The response and acceptance to the program from founder-entrepreneurs of small businesses has been tremendous. However, it is essential to put the structure and duration of a scalerator program into perspective. c) consultants & service providers who deploy management best practices or provide tools that help increase business efficiency. The need to redefine DURATION: Most accelerators and incubators are set up to last for three months. This timeframe is imported from programs aimed at identifying high-potential technology startups teams and ideas, to help crystallize their problem-solution and/or product market fit, for a subsequent funding event. However, the context is different for small-scale businesses. There are 63 million MSMEs in India vs. a 100 thousand startups. Companies in the ’small’ segment have been around for 5 to 15+ years, have reached sustainable scale with several customers, implying problem-solution & product-market fit is not an issue, and are instead facing real business problems preventing scale. Motivated entrepreneurs running small businesses need a sustained intervention over 12-24 months, while not impacting the running of their operations. This allows time for new habit-forming behavior to develop and to run one or more OODA (observe-orient-decide-act) decision loops with appropriate mentoring. In other words, these entrepreneurs are in it for the long haul. It’s a marathon, not a sprint! There has to be a clear-cut agenda for the first three months and then the next nine months. • Some of them will start paid projects with a chosen consultant, e.g. a SME may hire a strategy consultant to advise on the sales process, business plan creation, customer profitability analysis, goal-setting, etc. • Some others may reach a path in their growth journey where they run into special situations they haven’t faced before, e.g. JV with a foreign partner, M&As etc. To grow, a company needs to fix its ‘weakest link,’ which changes with time. Thus, the continuous availability of mentors, who are either senior entrepreneurs or subject matter experts, ensures availability of timely well-intentioned advice. It still is the entrepreneurs’ call whether they choose to act on such advice – just the fact that it is available is an amazing confidence booster. Moreover, sustained interactions between companies who are growing serve as excellent peer networking, best practices sharing and collaboration platform, leading to an incredibly positive pressure to succeed. Finally, during the last twelve months, we expect to find the business more stable, and the entrepreneur more confident. Habits have been nurtured and formed, business metrics are tracked, with business plans being executed and iterated upon. The learning model and decision-making ability of the entrepreneurs is strengthened via interaction with mentors, with several curated relationships in place and many more available on a need-basis. Larger businesses have formalized these relationships via an advisory board. At this stage, we expect to find the entrepreneur reaching out for precise advice. We also see entrepreneurs who have been part of the scalerator ‘paying forward’ by enrolling in mentoring programs in their city, to mentor either younger students interested in entrepreneurship or early-stage entrepreneurs struggling with issues they have already solved. In conclusion, a true Scalerator, aimed at small businesses should focus on the ‘softer’ aspects of management skills and best practices, and truly invest time & partner with companies over 12-24 months, i.e. during a significant phase of their growth journey as an entrepreneur.